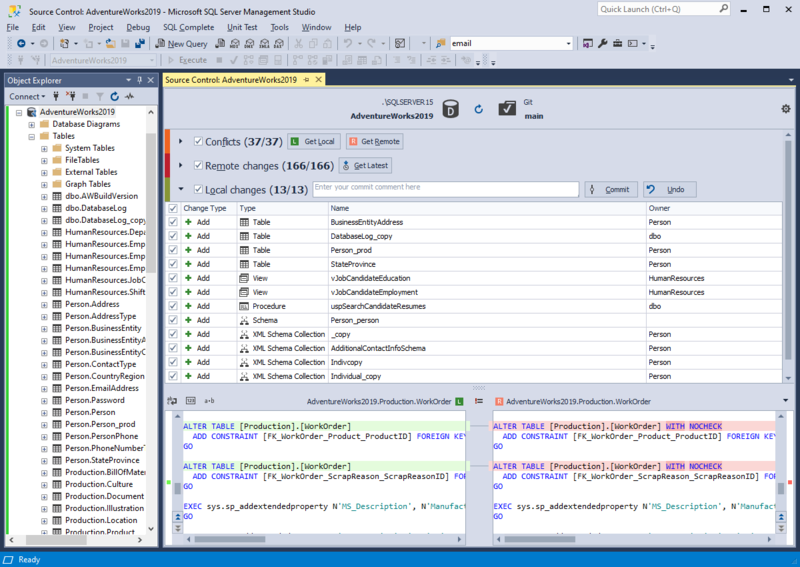 dbForge Source Control is a powerful SSMS add-in for managing SQL Server database changes in version control systems. The tool allows version-controlling schemas and reference data, roll back changes, and maintain the referential integrity of your SQL databases. The tool can also solve other database challenges, including deployment without losing data. A working folder contains SQL script files that represent your database. It allows you to script database changes to a database folder. After saving changes, the database working folder can be source-controlled with your version control system in the same way you version-control other files. Commit. Updates source control with your local changes. Created and modified objects will be scripted and put into the repository. Dropped objects will be excluded from the repository. Get Latest. Updates database with the latest changes from source control. Database objects can be created, modified or dropped during that process. Your version of an object will be committed to source control. Your changes will be discarded. The local database will be updated with the latest version of an object from source control. View changes history for the entire SQL database or for separate database objects. View details of each commit, including revision ID, date, author and comments. View list of objects that were modified in each commit. View DDL differences for each object. The tool allows you to easily cancel any local changes you don't want to commit. Just select the changes you want to roll back the Local changes section of Source Control Manager, and click Undo. 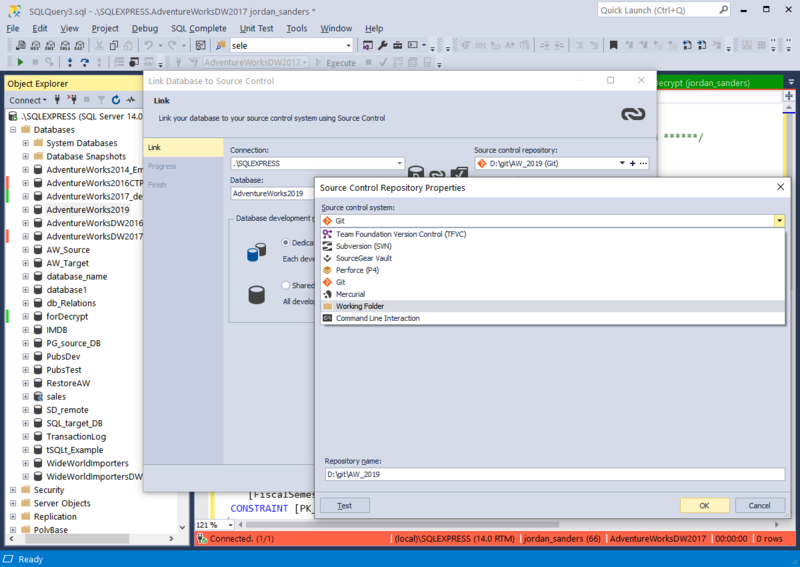 Source Control is a part of dbForge Developer Bundle for SQL Server – an ultimate kit of fourteen database development and management tools for SSMS. Purchasing the single kit will save you 50% of the cost of each tool as compared to purchasing them individually. 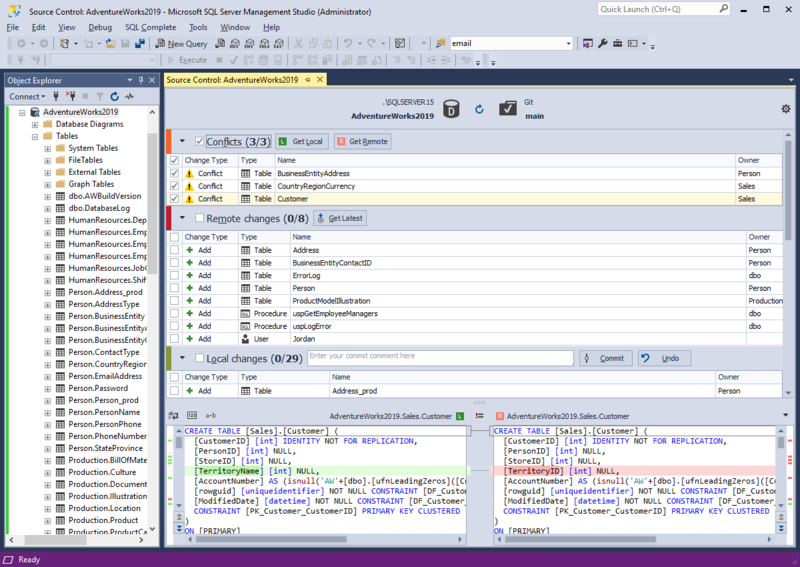 A powerful IDE for SQL Server management, administration, development, reporting, and analysis. Grab the full power to manage and deploy SQL Server schema and data changes. 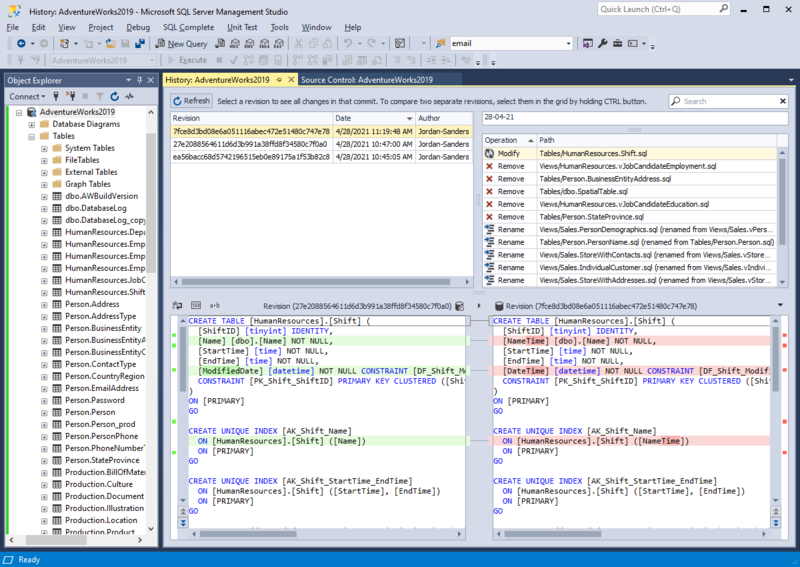 An SSMS add-in that speeds up your coding, improves code readability, and increases your productivity. You can get a significant discount, and even a free license, by spreading a word about Source Control.